The pioneering rocket firm just pulled off the unexpected, and carried out what appears to be a seamless first-ever launch of its massive new rocket, called Falcon Heavy. That makes SpaceX, the game-changing company helmed by billionaire Tesla CEO Elon Musk, the owner of the world’s most powerful operational rocket. Falcon Heavy took flight Tuesday around 3:45 pm ET from Kennedy Space Center in Florida. About two and a half minutes after launch, the two side boosters on the rocket detached and headed back to Earth. The SpaceX Falcon Heavy launch has resumed countdown after being placed in a hold amid several delays — and an ever-narrowing launch window that ends at 4 p.m. “Continue to monitor the upper level wind shear. New T-0 is 3:45 p.m. EST, 20:45 UTC.,” read a post from the SpaceX account on Twitter, where the company makes many of its official announcements. A conference call to discuss updates was taking place but silent; an official attributed the clock’s movement to a quick runoff before evaluating options for the mission. “Launch auto-sequence initiated (aka the holy mouse-click) for 3:45 liftoff #FalconHeavy,” read a tweet from the account of SpaceX founder Elon Musk. As minutes ticked away during the hold and the prospect of the launch began running into the end of the launch window, reporters and bloggers at Kennedy Space Center’s media site worked on their stories. But some on site wondered aloud if the Falcon Heavy’s launch would slip into Wednesday. However, at about 1:55 p.m., the countdown clock started back up with the new 3:45 p.m. target. Because the rocket’s path was blocked by high-level wind shear, multiple delays between noon and 1:20 p.m. winnowed the launch window to less than 45 minutes before clocks controlled by the U.S. Air Force stopped counting down. Officials at midday saw great weather conditions for liftoff — with another SpaceX tweet calling them 90 percent favorable, at that. But SpaceX founder Elon Musk posted about the winds on his Twitter account shortly after noon: “Upper atmosphere winds currently 20% above max allowable load. Holding for an hour to allow winds to diminish. #FalconHeavy” That was before changes were seen in countdown clocks run by USAF Eastern Range operations — three delays pushed the launch from its original time of 1:30 p.m. to as late as 3:19 p.m. — but then the counting went into a hold, stopping altogether for a while. If a scrub is required for any reason, SpaceX would try again Wednesday. 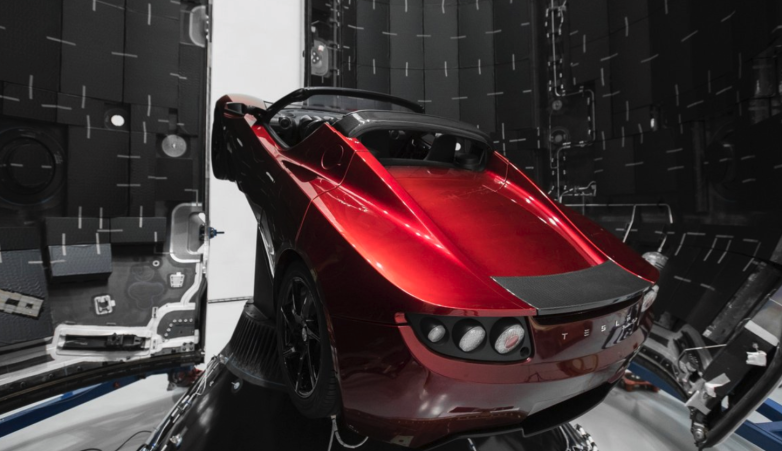 After years of setbacks, SpaceX today successfully launched its Falcon Heavy three-in-one rocket and delivered its cherry-red payload into orbit – Elon Musk’s very own Tesla Roadster. After a morning of delays due to high winds, the mighty rocket lifted off from the Kennedy Space Center Launch Complex 39, in Florida, USA, at 1245pm PT (2045 UTC) with no problems. Its 27 engines, bunched into three rockets, throttled up, and lifted its experimental payload to the heavens. 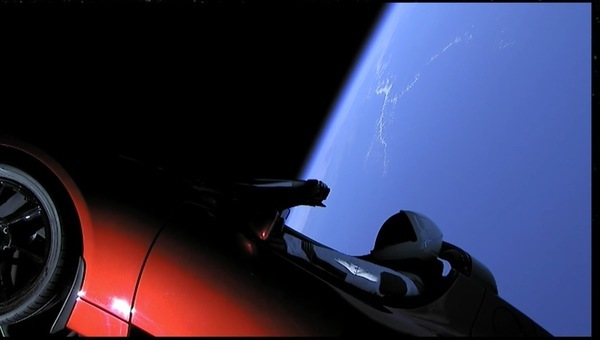 A cherry red Tesla car was launched into space on Tuesday by tech entrepreneur Elon Musk, with David Bowie’s song Life on Mars playing on repeat. Thousands of people gathered in Florida to watch the launch – the culmination of a plan five years in the making. 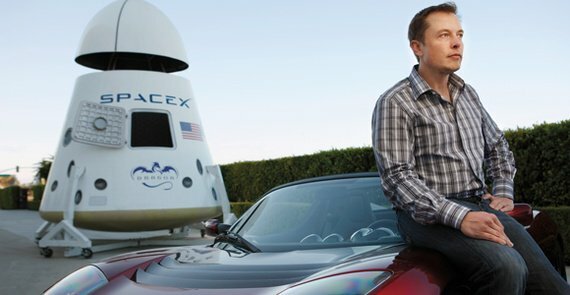 Mr Musk used a super rocket – the Falcon Heavy vehicle – to send the car into orbit around Mars, deploying technology with twice the launching power of any existing rocket, and double that of the Saturn V, which launched the Apollo lunar missions. 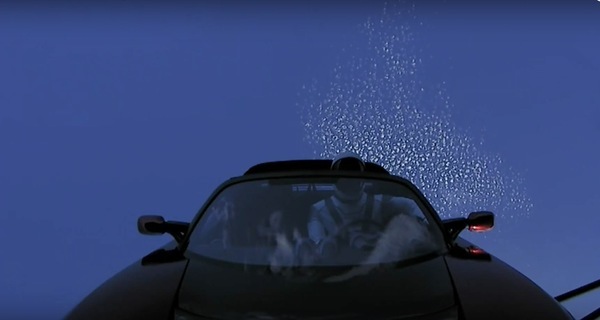 Mr Musk explained that the Roadster “will be in deep space for a billion years or so, if it doesn’t blow up on ascent”. His fears were not realised, however, and the world’s most powerful rocket successfully taking off from the Kennedy Space Center at 3.45pm local time (8.45pm GMT). About two and a half minutes after the launch, the two side boosters on the rocket detached and headed back to Earth to land on two SpaceX landing pads at Cape Canaveral Air Force Station. Among the online spectators was British Astronaut Tim Peake, who described the feat as “simply awesome”. “We repeatedly reported concerns to … Royal Borough of Kensington and Chelsea, including fire safety concerns which were not investigated, during the regeneration works. 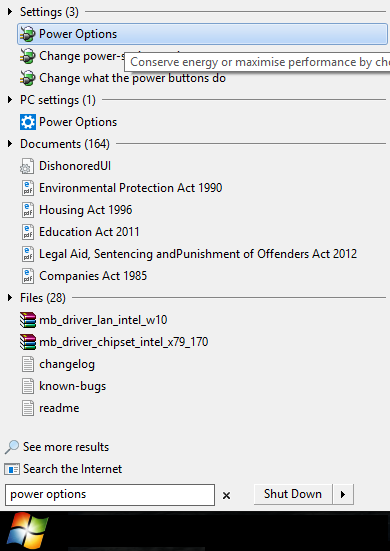 Concerns over locations of boilers, concerns about escape, concerns about fire escape lighting, the list goes on. I spoke to Nick Paget-Brown of the council, I spoke to councillors and they refused to investigate, they wouldn’t believe that the residents were concerned. Theresa May has warned that Britain is in the grip of a spate of copycat terror attacks in the wake of the London Bridge atrocity. The Prime Minister delivered a stark assessment of the threat facing the UK after seven people were murdered and dozens more injured by three terrorists on Saturday night. It was the third terrorist outrage to hit the country this year following the Westminster and Manchester attacks. Speaking outside Downing Street, Mrs May said that although there was no direct link between the three incidents, “terrorism breeds terrorism”.